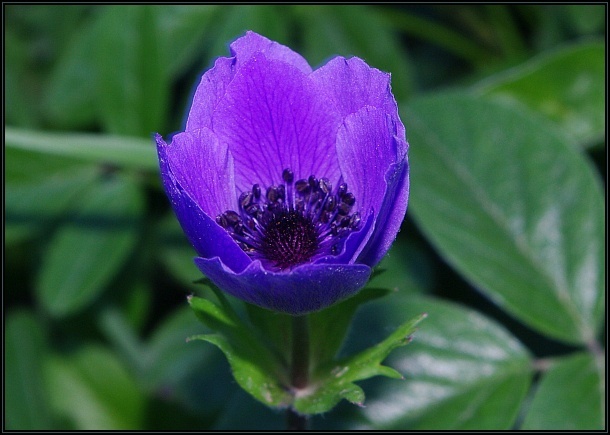 Anemone coronaria is a medium sized perennial flowering plant with relatively large purple flowers. 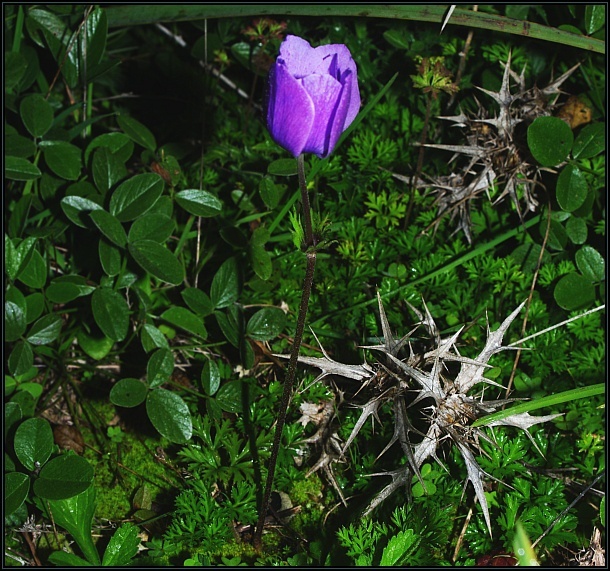 It is fairly common in the Maltese Islands where it flowers in late winter. 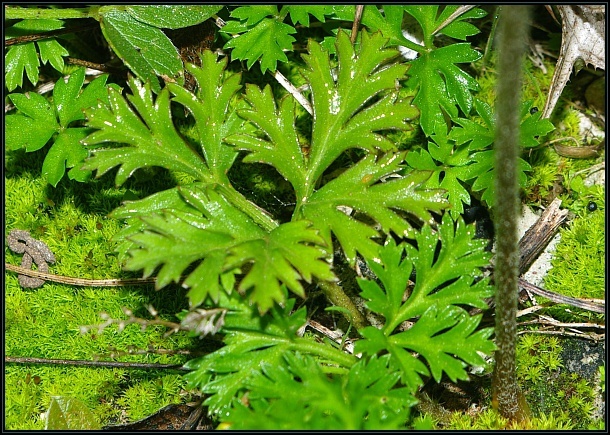 The leaves are small and divided. The flowers open in bright sunlight but remain closed on overcast days. This species is known with different coloured flowers from white to red to purple, but only purple flowers are found in the wild locally.